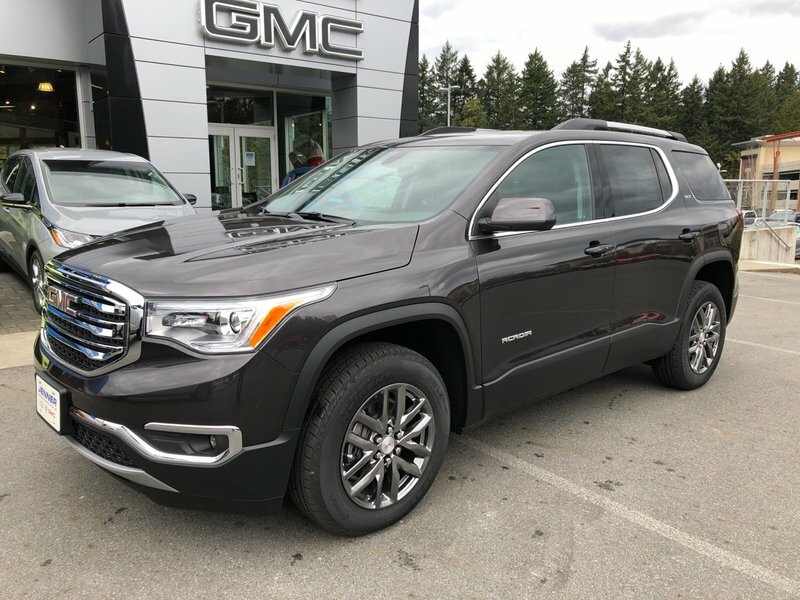 Our family ready 2019 GMC Acadia SLT AWD will exceed your expectations and make you smile as seen in Iridium Metallic! Powered by an impressive 3.6 Litre V6 that offers 310hp while paired with an innovative 6 Speed Automatic transmission with advanced stop/start technology. With this sure-footed All Wheel Drive Acadia, you will score near 9.4L/100km on the open road and enjoy responsive handling with functionality that will help you take on your day with ease. Sleek and stylish, the contemporary crossover design of our SLT exudes elegance with LED running lights, fog lights, roof rails, and beautiful wheels. Relax in power-adjustable heated leather seats with lumbar adjustments and enjoy a wealth of intuitive technologies including remote ignition, keyless ignition/entry, a power liftgate, a colour driver information display, and tri-zone automatic climate control. Staying safely connected and in control is easy with Bluetooth, a prominent touchscreen, the IntelliLink infotainment system, available WiFi, and a premium Bose sound system with satellite radio, Apple CarPlay, and Android Auto. Drive with confidence knowing that GMC offers solid safety features like a rearview camera, blind spot monitor, lane departure warning system, rear cross-traffic alerts, rear parking sensors, anti-lock brakes, stability/traction control, OnStar emergency telematics and even a system that reminds the driver to check the backseats for passengers before leaving! Give your family the security, performance, and comfort that only come from owning an Acadia! Print this page and call us Now... We Know You Will Enjoy Your Test Drive Towards Ownership!